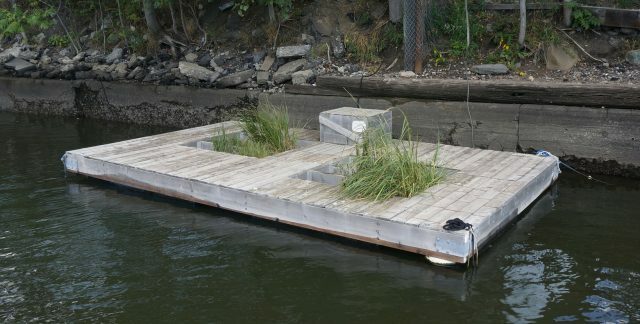 Original Living Dock at the North Henry Street Public Basin, 2016. NCA is excited to announce plans for the construction and installation of a second Living Dock within Newtown Creek. We will be replicating the model used for our first Living Dock (installed in Greenpoint during 2015): a floating structure designed to provide valuable marine habitat within a heavy polluted and largely bulkheaded waterway. The new dock will be built June 2018 and installed within the English Kills tributary of Newtown Creek. Once installed, the dock will be planted with native salt marsh grasses and habitat suitable for bivalves, small fish and crustaceans. 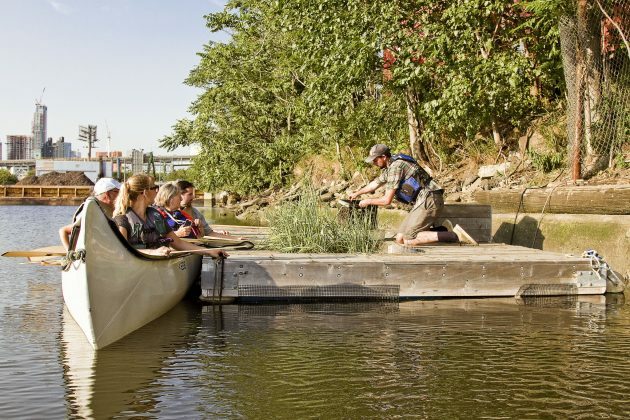 NCA will monitor the progress of the new dock, comparing plant growth and wildlife activity to the existing dock. The project is made possible with the generous support of Lush Charity Pot. Stay posted to our social media channels for updates on the new dock. Photo by Mitch Waxman, 2016.